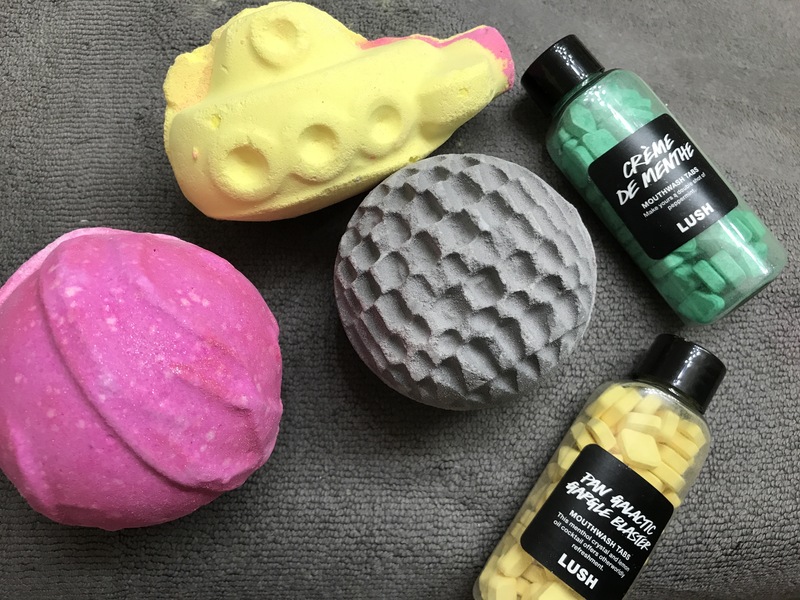 As you all know, I have been making my way through the newest collection from Lush cosmetics. 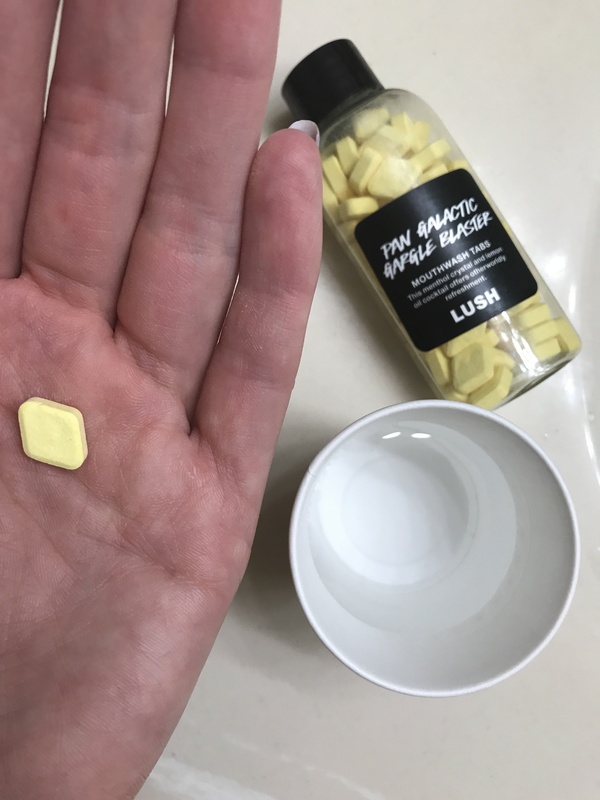 One of the newest creations is mouthwash tabs, and I love them. Let’s get right into it. I am kind of used to the idea of breaking down a solid to use it as a liquid. 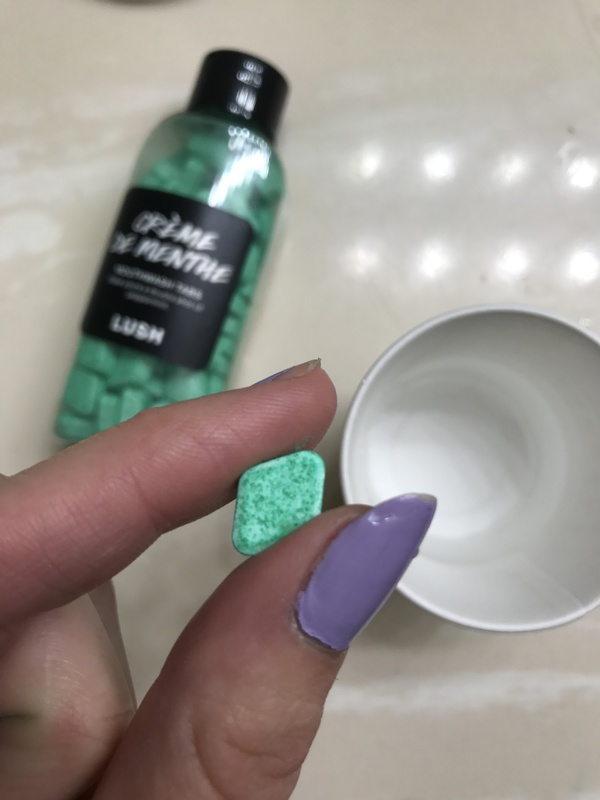 Lush has got me in love with Toothy Tabs, and I can function pretty well with their (mostly) solid shampoo. So the idea of a solid mouthwash is foreign, but not terrifying. To use these, I suggest you grab a little cup. Put some water in that, pop a mouthwash tab in your mouth, chew, add water, and swish. It’s a little weird at first, but definitely not in a bad way. I ordered both the Pan Galactic Gargle Blaster and Créme de Menthe, but there is a third that I skipped. The two that I ordered, however, I love unabashedly and I’m almost worried that I’m using them too often. Créme de Menthe is the first one that I tried, because it is known. It’s full of peppermint powder and peppermint oil, giving you some super minty breath. I loved it, right off the bat. It’s fresh, the scent is bright, and it smells like a clean mouth. Pan Galactic Gargle Blaster had me worried at first. It combines lemon, aniseed, and menthol, which sounds a bit terrifying for the tongue. But sniffing it made me incredibly excited, and tasting it did the same. Plus the Hitchhiker’s Guide reference didn’t hurt! I usually do mouthwash after I brush my teeth. I’ve been using these guys every day since they came out last week, and they aren’t boring me yet. I even moved Pan Galactic to work, so I could have a post-lunch clean up without brushing my teeth. I really enjoy these. I think they’re a great way to make oral hygiene more fun, and get me (and others, I’m sure) into the great habit of taking care of our mouths. Thanks, Lush!